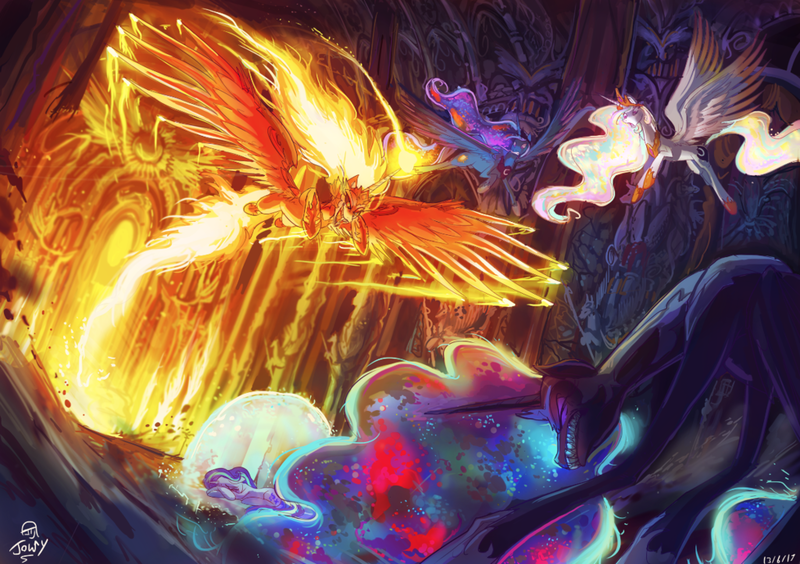 An example of epic looking MLP alicorns in action. 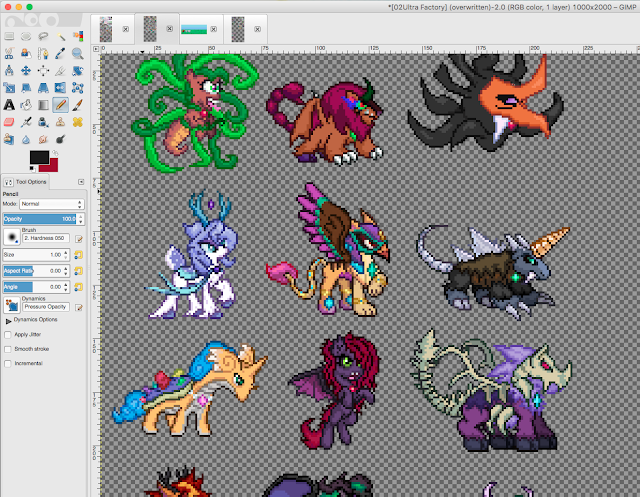 Progress has been stalled this week as the final few pony designs are being turned into pixel art. The sprites just didn't seem to fit the idea of "The Epic Legendary Alicorns" in a way that made me picture players saying "I want that one!" so I keep drafting new ways to make these ponies look a little cooler than the other ones. For the love of me I just can't figure it out. Spent way too much time staring at the sprites and starting over. Not to mention their alternate forms related to their special capture mechanics. Those have to look feeble in comparison, yet still cool and capable of combat. Never stop networking. I should be making friends in the gaming industry all the time. Animating is a lot easier once you have the look of the character cemented in your mind. When spriting, just get it done and it'll grow on you. Get the basic shape of what you want, color it in close enough, clean up the shapes, then try at least 3 variations on the parts that don't look right, then tweak the colors and small pixel clusters until it looks perfect. If the sprite is taking too long, just stop after the first cleanup, move on, and come back to it once the rest are done. Normally I only post the latest download stats on the first DevLog of the month. 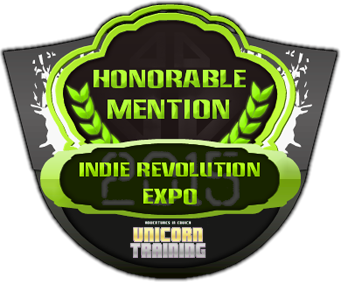 Apparently, I missed something in August because downloads for the Unicorn Training demo shot up like never before. And according to the data trackers it's ranking in the app store hadn't changed significantly at all. Maybe it's boosted from a BGP demo release that month and I forgot. I think it'd be more fitting to share download numbers on the week after the 15th of each month. After all, that's when all the app royalties come in from Amazon, Google Play, and Apple. But maybe it's worth checking in on those stats twice a month. It fills me with a sense of pride and progress when I see numbers jump up so it might be a nice morale boost in the middle of the month. Got 337 followers on Facebook and a solid (but not really) 760 on Twitter. As development picks up I'm making it my mission to steadily increase these numbers. I wanna see those numbers get into the thousands. On Facebook especially. 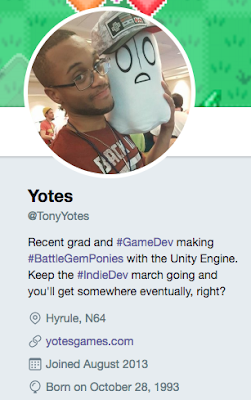 Another way I've been getting my name out there this week is applying to Indienomicon. It's a monthly meetup group for Indie Devs in central Florida I found on gamedevmap. I plan on attending meetings and networking in February, once BGP is (hopefully) in beta. This group actually hangs out at places I go to all the time so I'm sure I can make some good gamedev friends and maybe even travel to events like GDC with them! According to their website they host events where I can present my projects too, which means I can get live feedback on BGP from my developer peers. It's a cool deal all around and can't believe I hadn't heard of them sooner. Gonna tighten up some of these ultra ponies once the alicorns are done and be done with em once and for all! No matter what I think I have to force myself to start programming the final few features of the game next week and get the alpha built already. I can always come back later to pretty up the sprites again before I start animating. The reason I want these sprites finished and beautiful now, rather than later, is because I want nice character sprites to use in advertising and press kits for the game. I'm gonna start pushing it hard once the alpha is out and the pony sprites catch people's attention. Battle Gem Ponies needs to host a roster people can get behind. A lot of people fall in love with characters on their aesthetics alone, and if I can capture that magic with at least a slight majority of the cast, then I've succeeded. Yotes Games Has a Patreon!